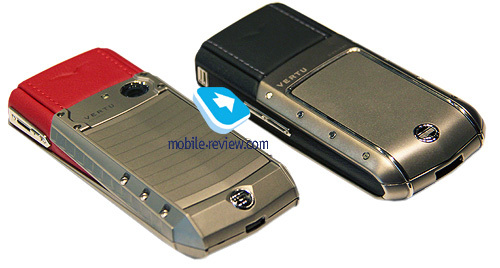 In 2010, Vertu launched the Ascent 2010 product line. 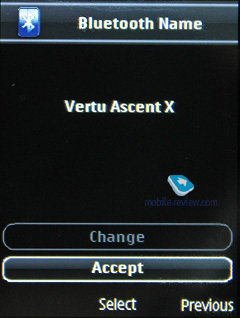 During the development, the model was named Ascent X: this name can be found in the phone menu, and the model number also always starts with Х. 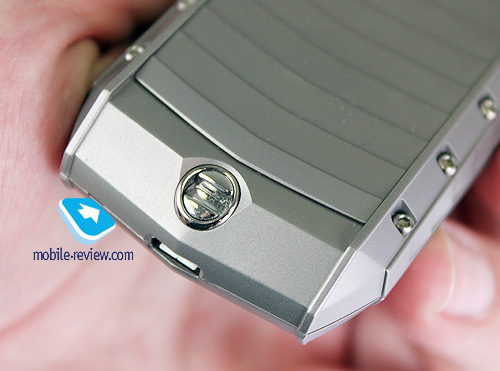 The phone is positioned to replace Vertu TI to a certain extent, as the latter has been selling on the market for too long. A short-time replacement, though; same form factor only. 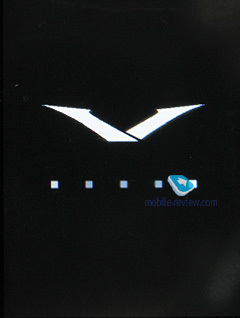 For those who’re looking for a prestigious phone, this one will be a ticket to the Vertu world. The most affordable and mass model in a classic design. 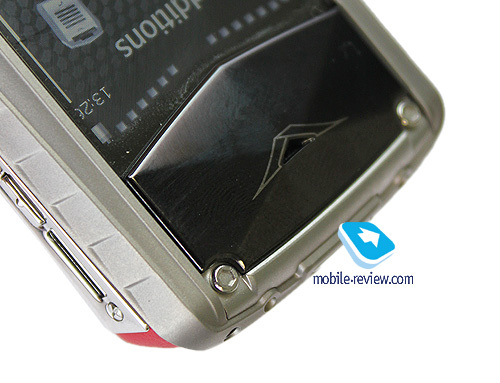 Positioning is typical for Vertu, there is nothing unexpected here. The model will fit for both men and women. 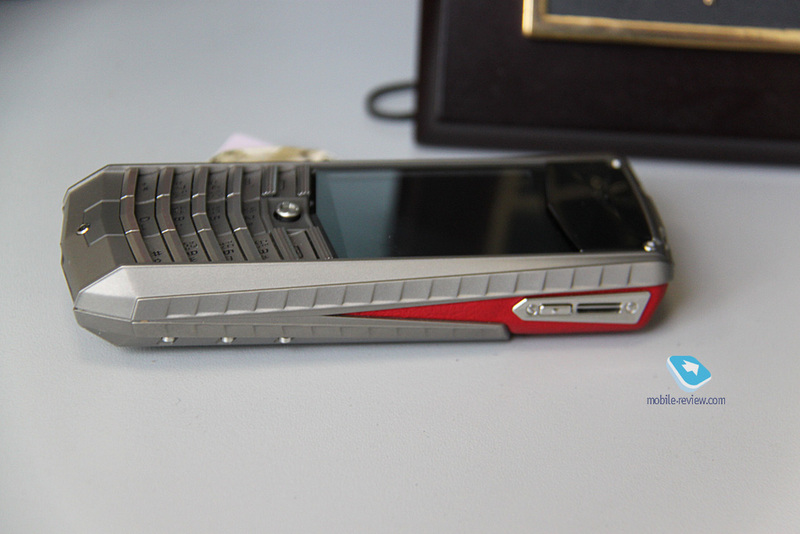 The design has been renewed; the phone now looks more aggressive; several versions in different materials are available from the very start. In general, this is an interesting offer that will enjoy a stable demand. 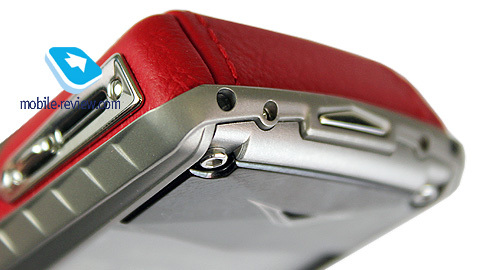 The model is available in two options: aluminum with rubber inserts (orange or black, 5700 EURO) or aluminum with a brown leather insert, or titanium body with leather inserts (red or black, 6500 EURO). To my taste, the aluminum version looks cheaper and somehow simplifies the model’s outlook in general. Titanium body looks more impressive. 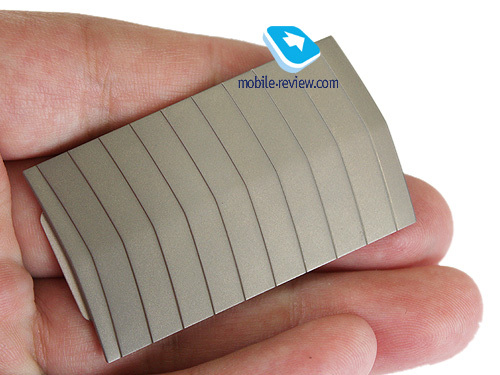 The phone measures 117 mm x 46 mm x 19 mm (4.60” x 1.81” x 0.74”) and weighs 148 g to 170 g (5.22 oz. 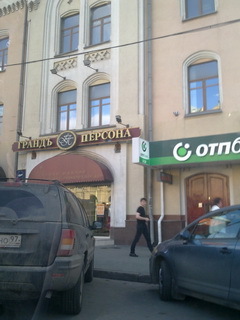 to 6.00 oz. 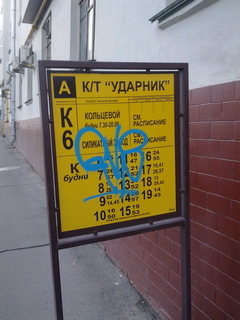 ), depending on the version. 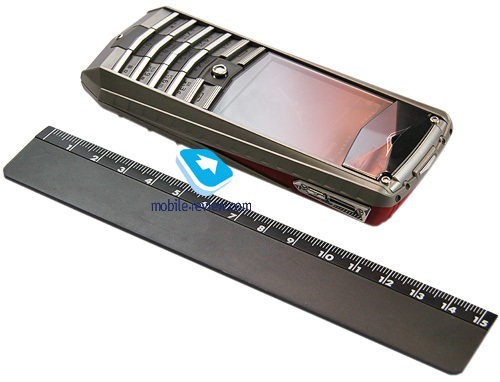 A typical Vertu size, the feel is solid, the phone is pleasantly heavy. 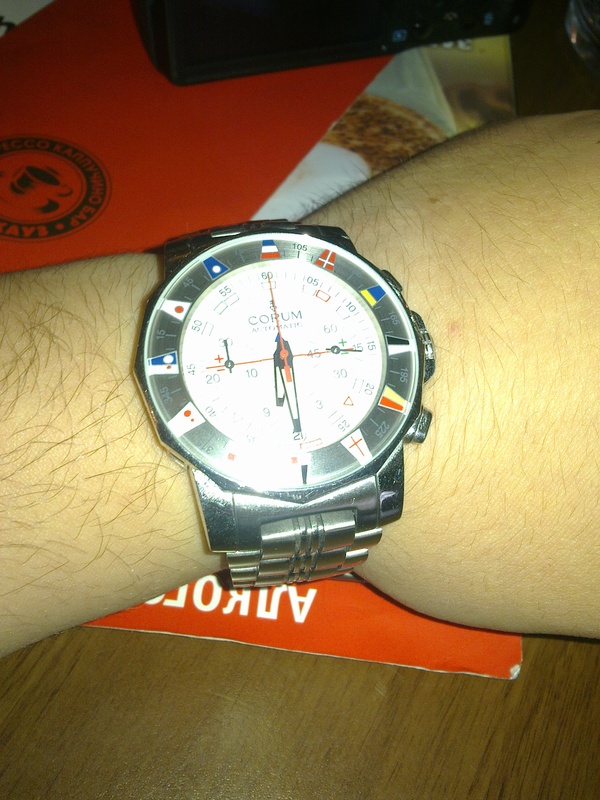 Unlike previous models, the right-hand side is no longer home for the camera button; what’s on it now is a chronograph button (a chronograph is kind of a screensaver showing current time in two cities). 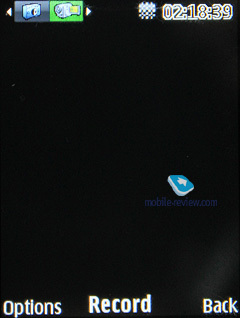 The camera can be activated by pushing the joystick upwards. The upper end houses the ON button. 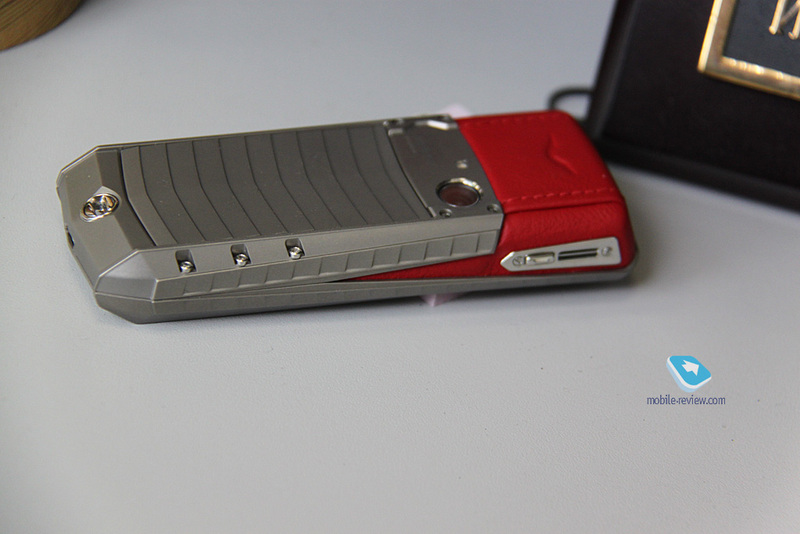 The 11x15 mm speakers are situated on both sides which is typical for Vertu. 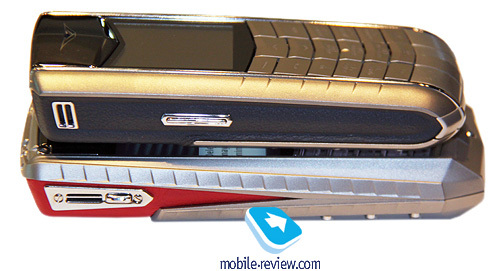 However, they sound somewhat worse than those on Vertu Ti or Constellation. It’s not a hardware problem; something’s wrong with software settings. 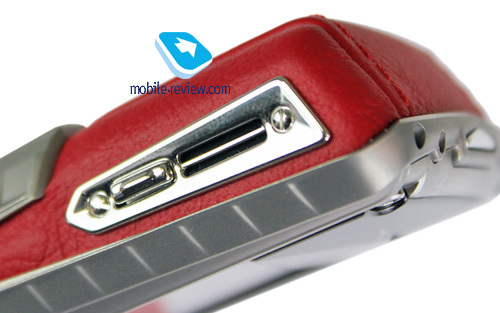 The bottom end has a microUSB connector used both by the headset, synch cable and charger. 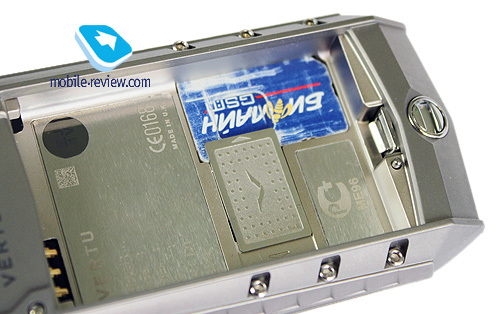 The battery compartment cover, unlike Constellation, now has three push areas, it sits firmly in place and is totally slack-free. The build is perfect. The back side (matt metal surface) may be prone to wear from very active use. 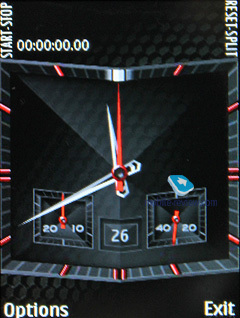 Main display is a QVGA (240x320) 2 inch screen with up to 16 million colors; it is covered with sapphire glass. 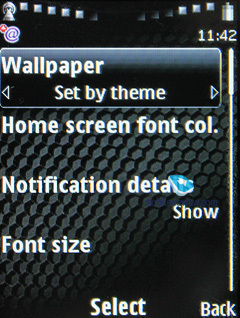 The screen can hold up to 12 lines of text (not in all modes); three font sizes are supported (font size is selected when setting up the phone). The screen quality is perfect; it is readable in the sunshine. Generally, the screen is good, but not the top level one. For instance, I personally prefer the HVGA screen in Ayxta. 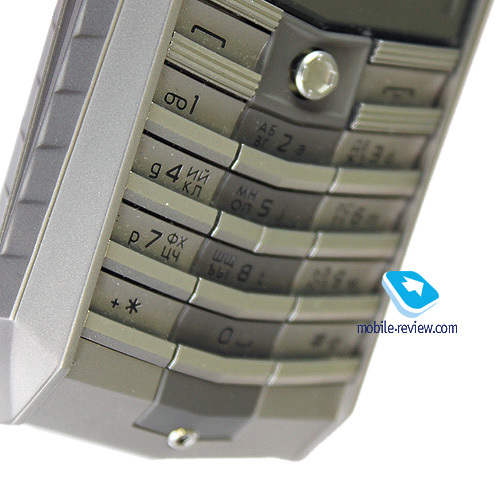 The keypad sticks out, it looks aggressive and harsh. 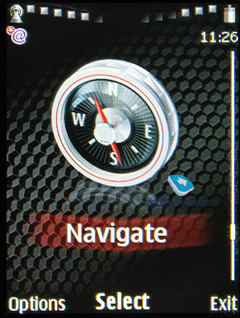 However, the keys are convenient to use, and so is the navigation joystick. 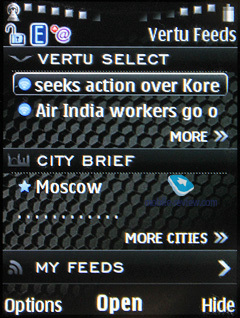 In localized versions of Vertu Constellation, the top row is used for the localization language symbols (Russian in our case). Latin is only represented by the first symbol. At first, this would seem to be inconvenient; however, anyone who remembers the layout won’t have problems with using the keypad. Keys are backlit in white, the backlight is clearly visible. The metal keys have a good stroke, there’s no click that was present on the first models; however, everything is very soft and nice. 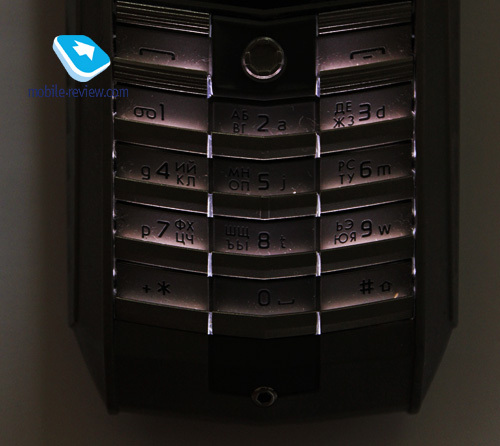 The keypad leaves a very good impression; the white backlight is clearly visible under various conditions. 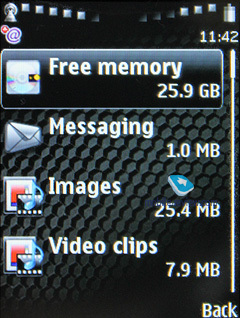 Phones usually have a little bit more than 100 Mb of memory used by usual applications. 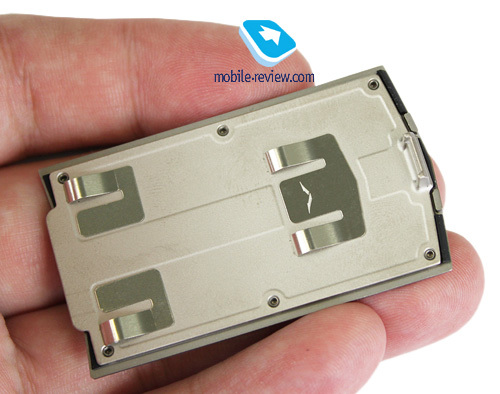 The built-in memory is 32 Gb (models with titanium body) or 8 Gb (aluminum body); there are no memory cards as such. There is only one battery in the box (BL-5CV, 1050 MAh). According to the manufacturer, the phone will last on one charge for 300 hours in standby mode or 4 to 4.8 in talk mode. 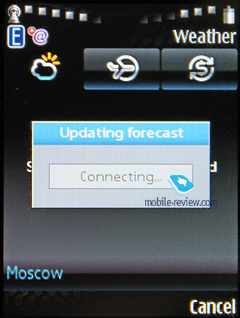 In Moscow networks, the phone lasts for approximately 2 days with moderate talking time (up to one hour in two days) and minimum use of other functions. Total charging time is about 2 hours. 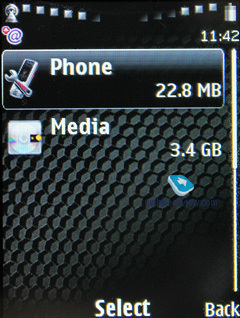 Data Storage (Mass Storage USB): both phone memory and memory cards are visible, no drivers are required, the device is recognized by the OS. PC Suite: work with PC Suite, access to all the functions, backup copies of all information etc. Printing & Media: printout of pictures, MTP mode. Data transfer rate is about 1 mbs. 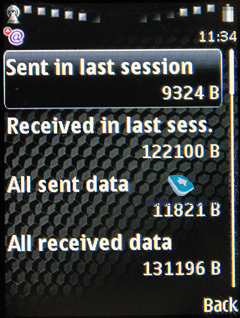 Data transfer rate via Bluetooth is 100 kbs on average. 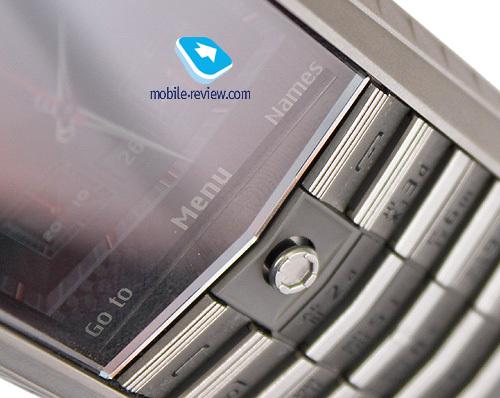 We checked stereo sound signal transmission to a Sony Ericsson DS970 headset: there were no problems with playback control, fast forward / rewind and skipping; however, current track name was not displayed on the screen. A usual 5 Megapixel camera with auto focus; shots do not look really impressive on a PC. 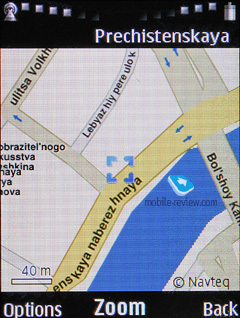 At the same time, the shots do look impressive on the display thanks to the screen resolution. 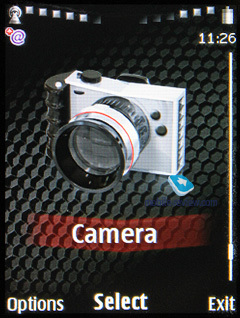 I will not go into detailed description of camera settings, flash etc, as this is all not really important for this product; just have a look at the shots both on the phone screen and on a PC, please also take a look at video samples; I believe you will be able to draw your conclusions for yourself. By clicking the Concierge button you will see an icon with a tray and can immediately dial the concierge service. The call is international and will be charged at your operator’s rates (the service itself is based in London). 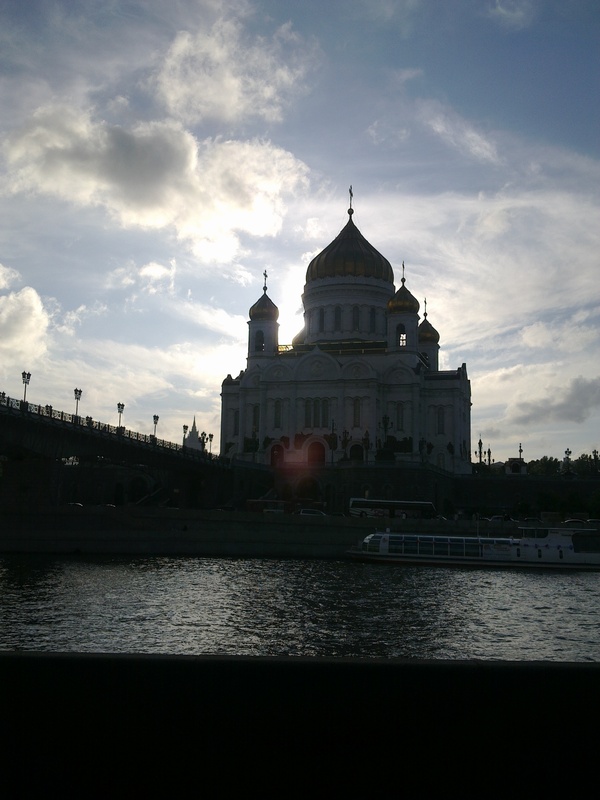 You can call at any time of the day or night; the operator will answer in Russian or will switch to one of the European languages (depending on where you’re calling from and if your number is in the system). 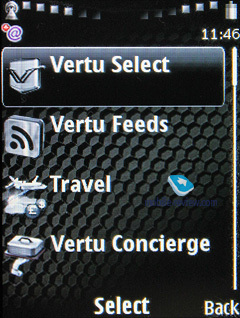 When purchasing a new Vertu phone, you get a one year’s subscription to the Concierge service free of charge. When registering, you just need to enter the phone purchase date and the number engraved on the back side and also give your last name. The operator (they call him a “secretary”) can help you out on various issues from booking air tickets to hotel reservations, car rent, purchase of flowers, search for points of interest and information etc. Some operations will require registering your credit card number, and you will be charged for the purchase. Prices are premium which is a synonym of «expensive». 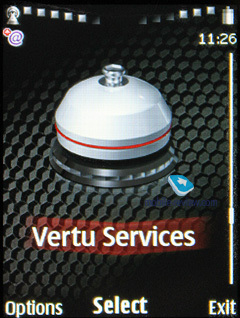 Of course, Vertu clients are rich people; however, saving up to 30 per cent of the amount in some cases is really nice. The Concierge provides high level of services, no question about it, and the price tag is just equivalent to it. Your own secretary will most probably solve your issues for the same time (or slightly longer) but in a more cost-effective way. Without pretending to be exact or trying to ensure the integrity of test, I asked my friends who have Vertu phones about how often they use or had used this service and if they were planning to re-subscribe when the subscription term expires. Out of the total of 11 respondents, six called the Concierge service only once trying to figure out what the whole thing is about and eventually never used their services at all. Three respondents used the Concierge services in other countries mostly when looking for a good restaurant or searching for the store they needed. 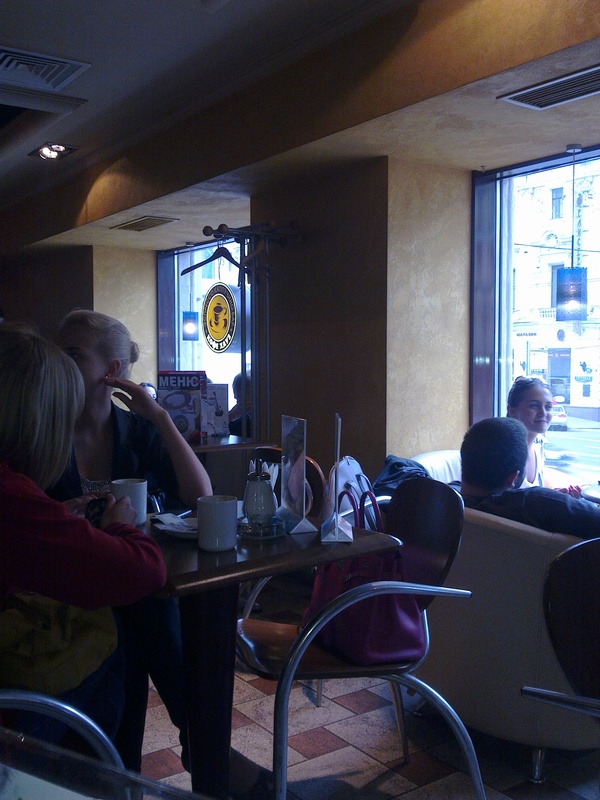 Two persons noted that they used the service as kind of ‘yellow pages” to get online information about something. Out of the 11 persons, only one has re-subscribed to the Concierge service after the first year’s free subscription. 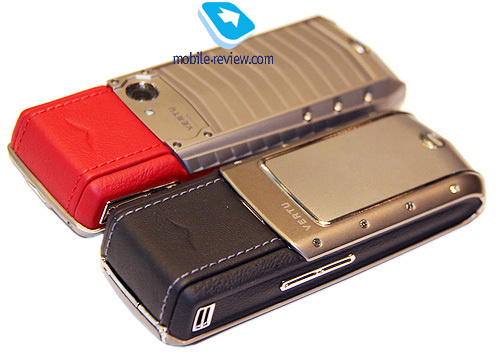 I would expect the most optimistic number of re-subscribers to be around 10 per cent of all Vertu users. Knowing similar markets, I can assume that the number is probably lower. I personally can say I’ve had enough of the Concierge after a month; for a number of reasons I did not need it. 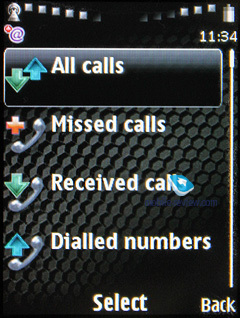 Basic: infrequent requests, upper limit is not officially declared anywhere but actually it’s about 20 calls per month. 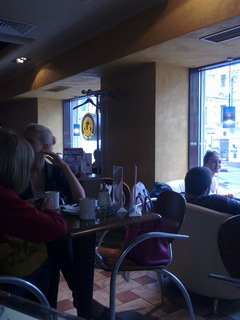 The price tag is 60 GBP or 89 EURO per month or 1,068 EURO per annum. By the way, that’s where a quarter of the phone’s price goes to cover the extra service. You pay 6 months’ subscription fee or more. VIP: you will have a personal secretary, and this rate is recommended for those who call the Concierge service 10 to 20 times a month. The personal secretary will be available 9 hours a day; all night requests shall be processed by other operators. 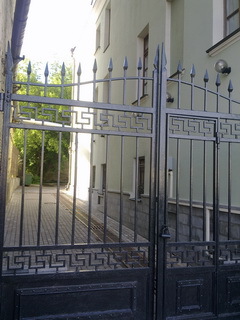 The price tag is 200 GBP or 300 EURO per month or 3,600 EURO per annum. You pay 6 months’ subscription fee or more. New clients can get a discount on VIP package and pay 150 GBP per month. A simple calculation shows that new Vertu clients get a 15 percent discount on the basic rate in the first year based on the difference in the rates. There is no difference in quality between these two tariff plans. Response time, databases, services suppliers etc. are all the same. Unlike the exterior, brand and design, the Concierge service, though being an “image” thing, is not as visible and understandable by others. All operators in all countries have similar local services. If we take global players, they also offer similar solutions, but these are much more expensive (however, the service class is also higher). Let’s imagine we’re trying to find two theater tickets for a matinee for two boys, both aged 5, in Moscow. 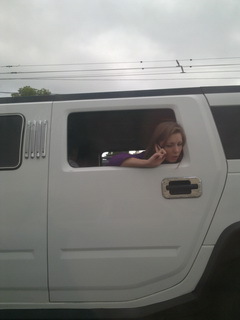 I call the Concierge service, it takes approximately one minute to explain what I want. The operator promises to call back before next morning (we’re calling at 15.50, local time). I hang up and call a local operator’s paid service (short number). It takes one minute to explain what I want; the operator asks me to leave the phone number as the expert on culture is currently busy. The specialist calls back in five minutes (incoming call is free, there are no charges for consulting) and consults on this issue. 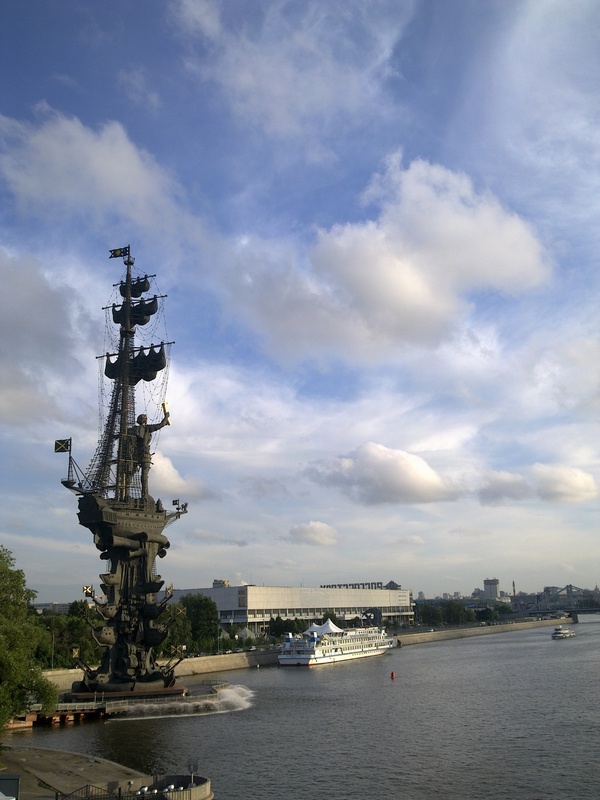 For instance, he inquires once again about the gender and age of children and suggests several options in different regions of Moscow. I get 10 options in 5 minutes (then I stop the listing); tickets can be booked for three of these (approx. 20 percent price increase). Knowledge of the events and their age audience by the operator is an advantage (he even knew what is worth seeing and what is not; maybe I was just lucky, anyway, the operator was experienced on this subject). Please see the consolidated table of time and money expenses on search for information below. Of course, this comparison is incorrect, as the Concierge information is more diverse as opposed to being focused on some particular areas, and that’s where local services are obviously inferior to the Concierge, which is quite understandable. For instance, you can’t book your air tickets or make hotel reservations via local services, and that’s a disadvantage. However, you can well do it via your personal secretary. 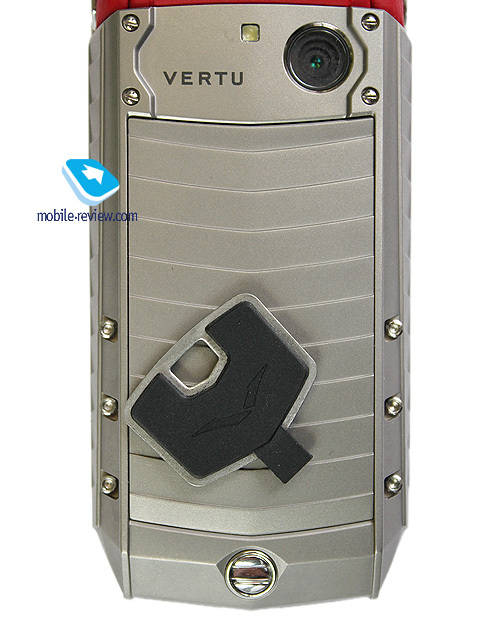 I really doubt that a Vertu owner for some reason doesn’t have one; it seems strange, though there are such users, too. The Concierge service makes sense when you’re traveling around the world and you’ve already got the demands but do not have adequate income and services. The question is then: do you really need this product? 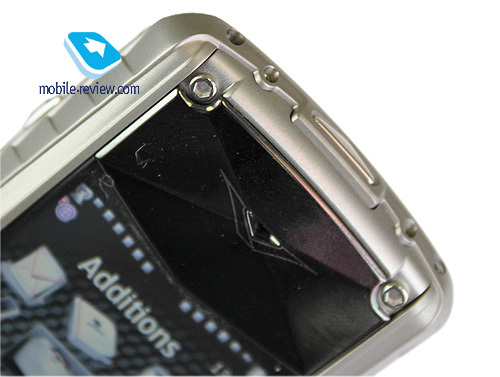 The handset is based on S40 6th Edition without any difference apart from themes, so you can go straight to the Impressions section if you are familiar with modern phones from Nokia. 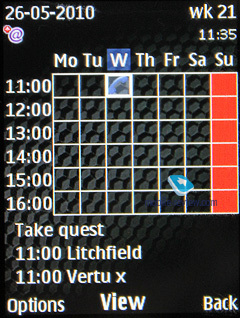 Unlike the standard S40 here we do not have the Active Standby, but just a splash screen and a grid or one line menu with big icons. Everything is very simple. 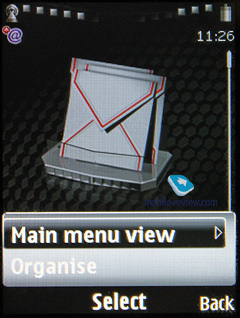 In all submenus the lists are vertical and the main difference lies in smaller icons near every item and close fonts, which helps to show more lines. It is quite logical. 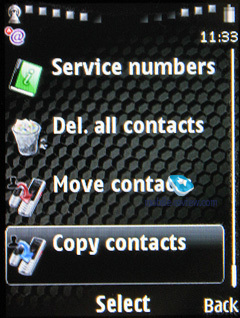 Due to the icons everything looks very attractive – the menu is not too colorful, but user friendly. 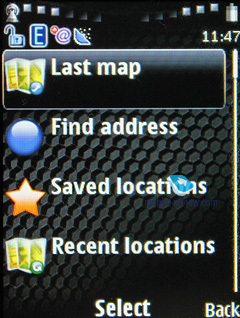 In several features and applications, for example in the phonebook, there are additional popup menus, which do not update the screen, but appear on top. By choosing the necessary feature in the list you go back to the first screen you started working with. 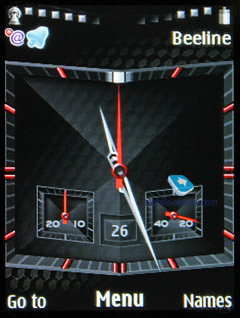 It is a definite interface improvement in comparison with the previous version of S40. 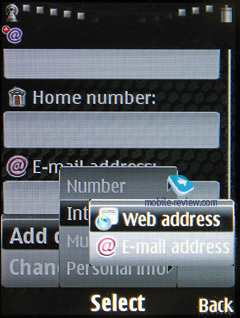 Three applications – Messages, Contacts and WEB have an option where you can choose the font size (small, normal and large). At first glance the difference in font sizes is marginal, but the screen fits different number of lines depending on the chosen size. The maximum font size does not make it bold, it is thin anyway. 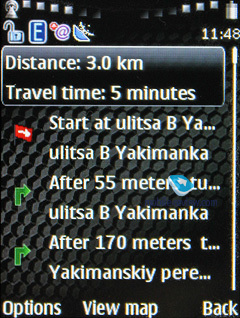 In the menu you have quick navigation with numerical sequences and additional voice instructions. Voice recognition is available only for certain designated features and it does not require any training. 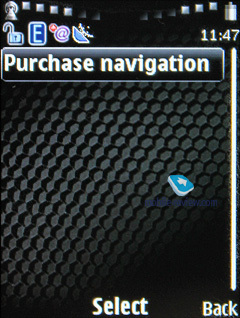 You just have to name the item and the phone will go to it (activated by pressing the Names button). 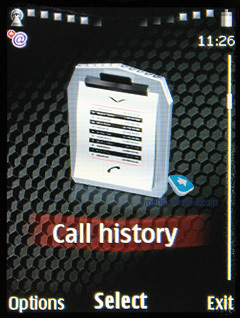 Voice recognition in general is supported regardless of the speaker’s voice and the same applies in the phonebook. 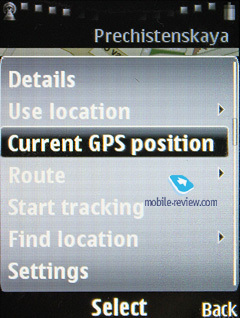 If you use this function often the phone performs better and the voice recognition quality improves. On the downside I can mention unstable work with the large number of contacts or if some of them are in another language. 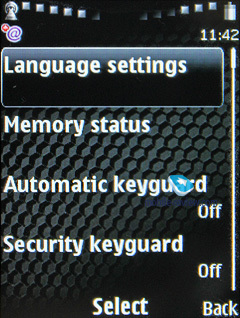 In the settings you can choose the language of recognition independently from the interface language. The quality of recognition can be improved by selecting the compulsory training of the system. Text input with T9 is supported. You can choose an option of words prompts or completion, when T9 tries to guess the word you type in (Word Suggestion). 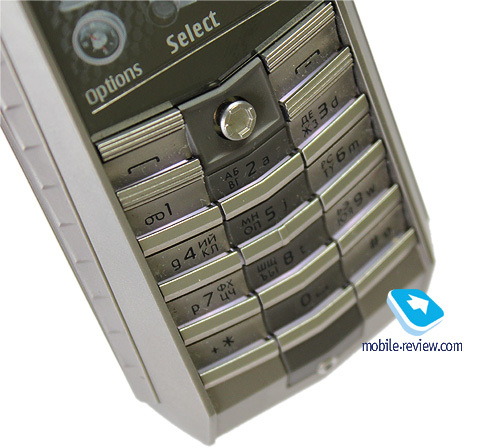 The main difference from the previous version of T9 and input system is its global nature, which applies to all phone features. 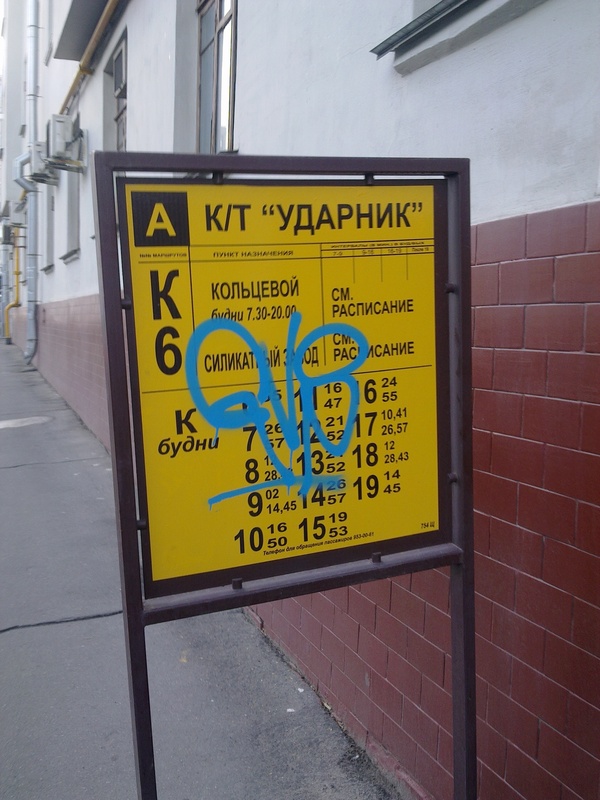 Text input can be carried out in the language different from the interface language. During the input you can quickly switch between the input languages. This model supports the copying of both the separate words and the entire fragments. 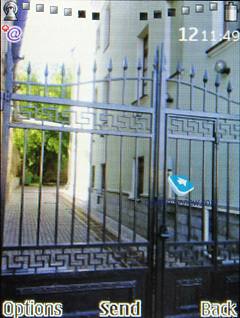 The text is located in the temporary storage and from there can go to any application. For example, I copied the text from the message and dragged it onto the screen in the standby mode to insert in the notes. 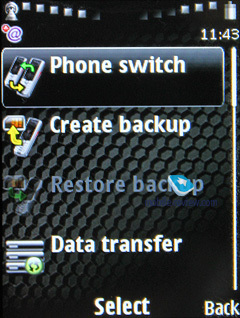 The phone memory can store up to 2000 names, which is the maximum number of entries. It is not affected by the fact whether you complete all fields for one name or just several. The overall limit remains the same. For one name you can add up to 5 phone numbers, choose the number type (main, mobile, home, work, fax and video (for 3G networks)). The first entered number becomes the default number and can be changed later if you want. Previous versions of S40 offered the minimum number of initial fields – just first and family names and one main number. Everything else had to be done from the editing menu. 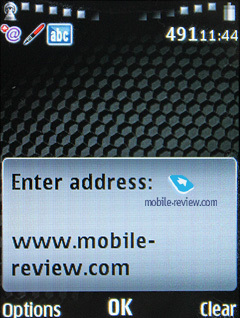 In the current version the user can also see one more number (mobile), e-mail address and the selected image. As additional information you can add to each number an e-mail address, website, postal address, text note, company name and position. Among the fields it is necessary to mention the USER ID, which identifies the user in the availability service. 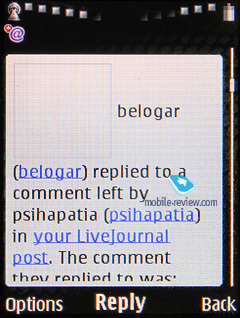 It is slightly similar to ICQ and shows if the user from your list is available at the moment. There are also fields for the formal name and the nickname. 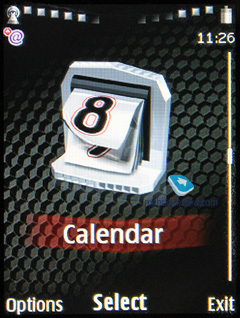 You can also add the birth date and this information will be displayed in the calendar automatically. It is nice that the already added fields by type are highlighted in grey and you see the information in the phone. 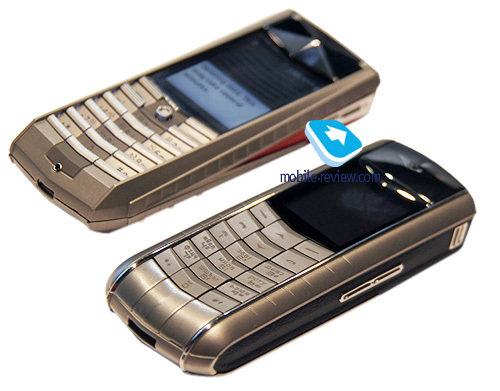 It is impossible to create duplicate names in this model and the handset will offer to replace the entry. 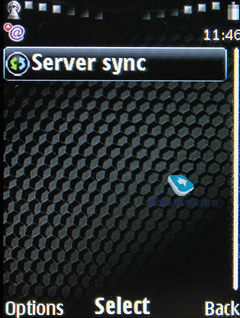 At the same time you can synchronize from the PC any number of identical names and it can cause problems during the voice calling, so you should take it into account. For each number you can add a photo or video. 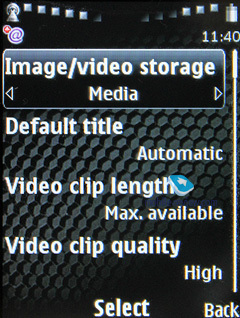 Video is given priority, so it is played by default (at the same time you can add a photo and video for one name). When looking through the information on a particular name you will see the photo as well, while earlier you had to open an appropriate item. 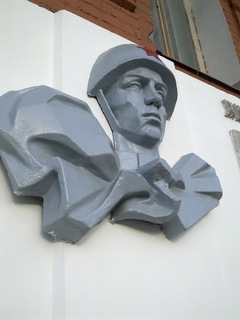 In the general list you can choose the display of the name and its image. In this mode the icon is small and does not provide enough information about the photo. 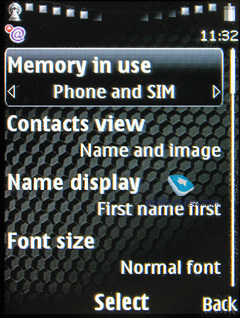 Other view modes are traditional – only names and names with the main number. 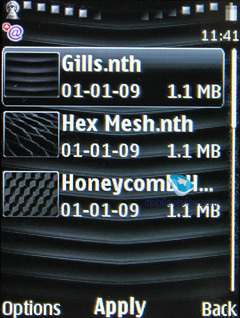 The general list can show both the numbers from the SIM card and the phone memory. 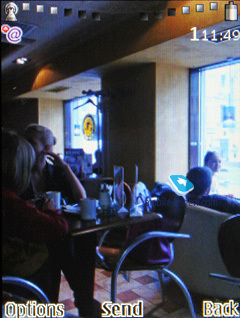 During the outgoing call the photo size is minimal and it is represented by the small icon only, but when somebody calls you the photo fits the whole screen. 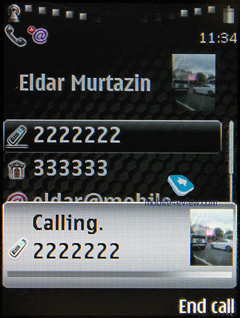 The caller’s name is displayed with the number icon, its type and full numerical number. 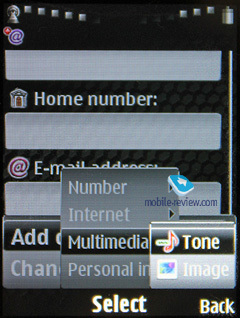 Every caller can be assigned a particular ringtone, which can be chosen from any sound file. Remember that if you choose video here the sound will be played from the clip and not the music file itself. 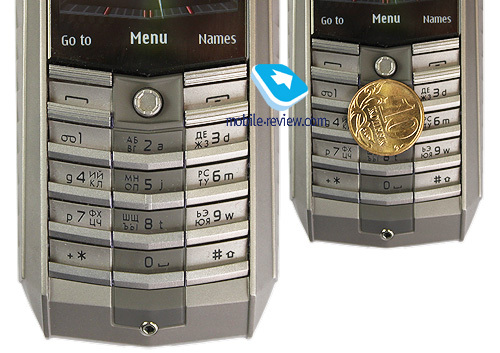 Traditionally buttons 2-9 can be customized for quick dial. 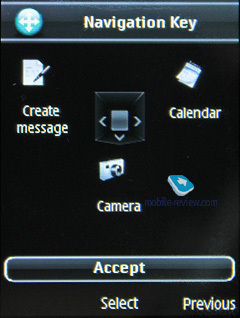 The phone has no preinstalled groups of callers and you should create them independently. The big advantage is that there can be up to 25 groups. 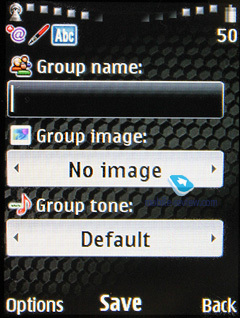 Each group can be assigned its ringtone and image. 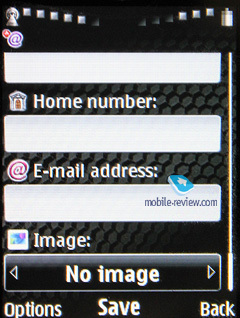 The picture selected for the contact, which is the member of some group is given preference and is displayed instead of the group image. One caller can join different groups. 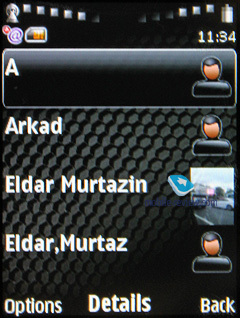 In the general names list the groups are indicated on the same basis as the individual names, but are given special icons. General name search works for groups as well. This solution seems strange at first, but then you appreciate the convenience: you do not have to choose a particular menu entry for groups (besides, it is available only in the main menu and if you use the soft key or quick dial you will just see the list). You can search in the general list by several letters as well. There are no problems here. By clicking the “*” button you can switch to the names list in another language (e.g. if you have the entries in Russian and English). 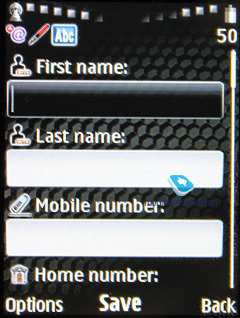 While going up or down the names list, press “#” and the name with the main number will be displayed. To see the whole information for a name you have to use a special menu (accessed by two clicks). Names can be classified by first and family names. The synchronization with MS Outlook shows an improvement from the previous models. The majority of fields are synchronized correctly, especially First Name and Family Name. 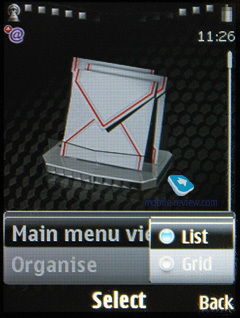 From the phonebook menu you can send all messages as the Business Card to another device by means of SMS, MMS or via the wireless protocol. As opposed to the previous platform version you can choose whether to send the whole information or just the name with the main number. 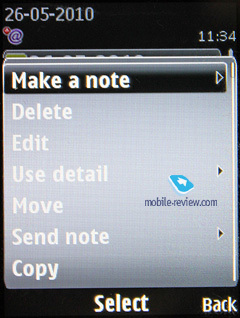 It seems that you cannot send the entire notebook to another device and if you select all names you will not see in the context menu the option to send the contacts. At the same time from the menu Settings – Connections – Data transfer you can do that. 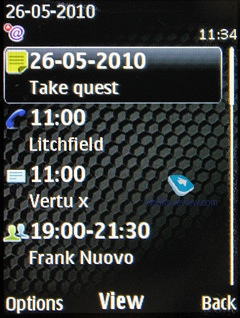 The phone supports synchronization (add all, replace all) and apart from the contacts you can send notes and calendar entries. 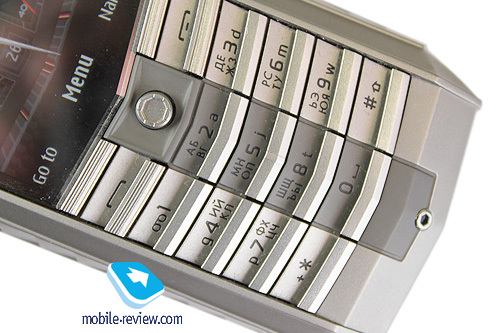 The phone numbers can be copied from and to the SIM card. You can search by one or several letters and then choose all entries starting with such letters. 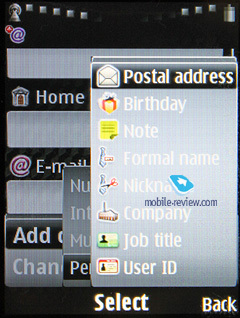 During the text input in any menu you can switch between languages as in Nokia smartphones, which is convenient and user friendly. 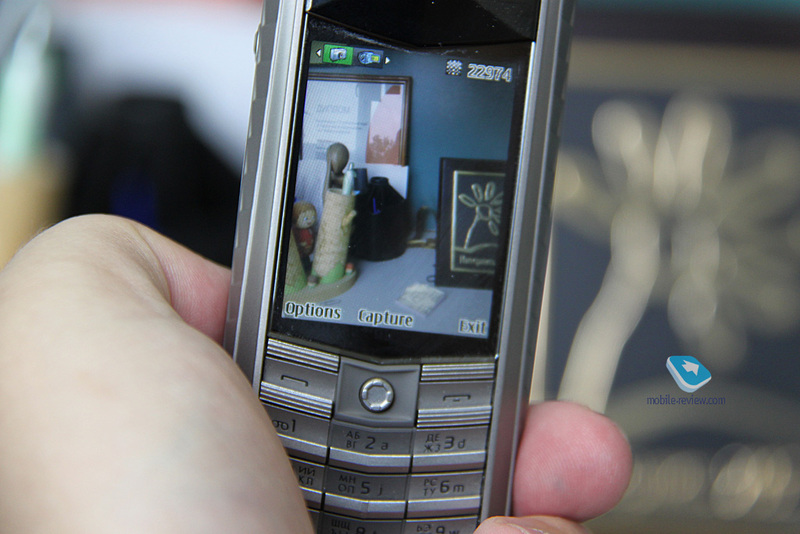 The phone supports Nokia Smart Messaging, which allows sending and receiving melodies and simple black and white pictures from the compatible models. 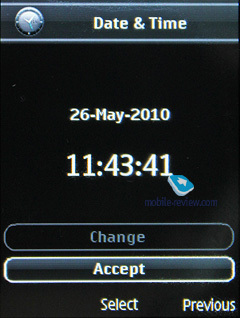 Apart from Nokia this standard is supported by the phones from Samsung, LG and Motorola. Unfortunately, the proprietary standard limits the users as the alternative EMS is more widely spread now and allows not only sending the melodies and images, but even the text editing. 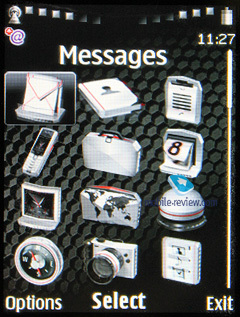 The phone has one Incoming folder for all types of messages - SMS or MMS. 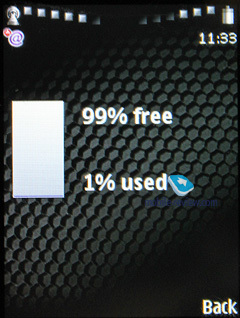 The messages are stored in the dynamic memory and ideally you can keep here up to 1000 short messages. 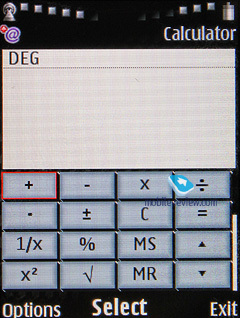 There is the messages calculator (for sent and received ones), which can be reset. 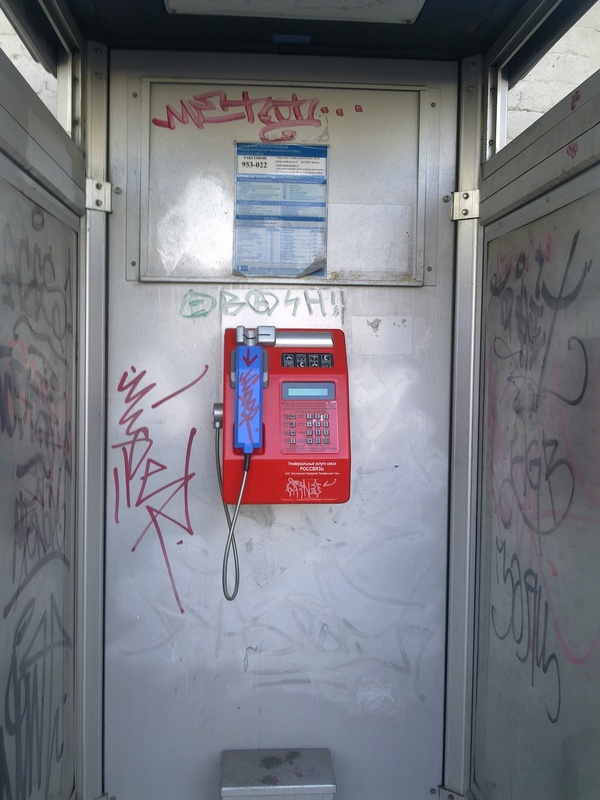 When you write a message you can choose the number not only from the phonebook, but also from the list of recently used, calls records and choose the whole group of callers. Also you can use the Favorites list to which you can added the most frequently used numbers. 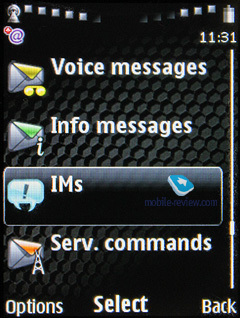 SMS and MMS interfaces are joined and have no differences. 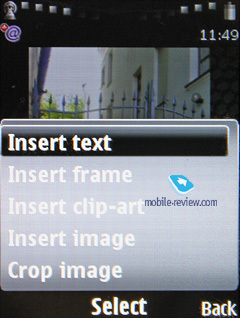 When you choose the content the message is converted into MMS or remains as the simple text. This is logical and helps you not to think about the message type while writing and it can possibly stimulate the use of MMS. There are no technical changes in terms of this message type. Its size can reach 600 KB. 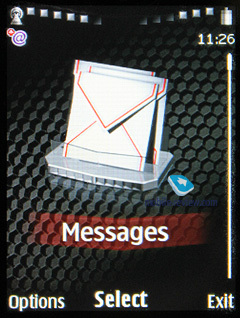 MMS messages are well supported and cause no problems (OMA MMS 1.3). The pictures from the camera are automatically scaled to send in messages (maximum – 1600x1200). 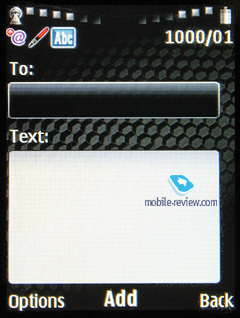 If the picture size is below 600 KB you can send it in the message body without changes. 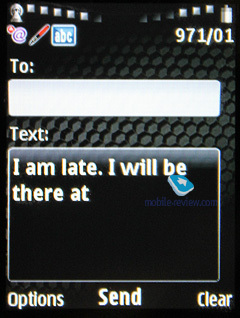 Other message characteristics are standard– support of emoticons (conversion from the text in the incoming messages) and joint messages. You can choose the automatic replacement of messages in the Sent folder when the memory is full (the oldest messages are deleted in order). Delivery reports are kept in one folder, which is convenient. 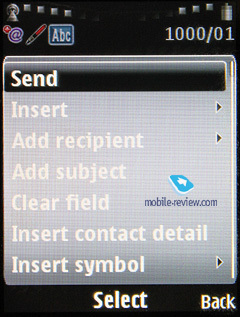 For CB messages there is a separate folder from which you can customize the channels numbers. 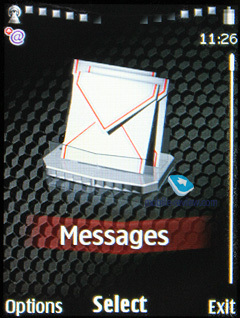 Flash messages are the short messages when the recipient sees them only on the screen and they are not stored in the memory, though such option can be selected. 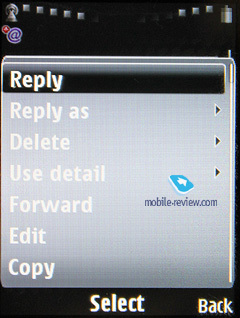 In the standby mode the name of the sender is displayed. 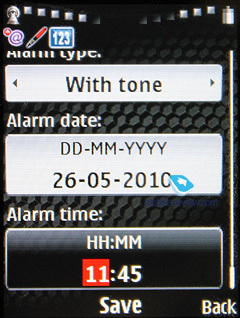 Voice Message represents a version of MMS when you record a voice message of up to 3 min 6 sec (maximum length) and send it straight away, which is a simplified MMS for ordinary users. When you create your message the numbered field has the text input by default. 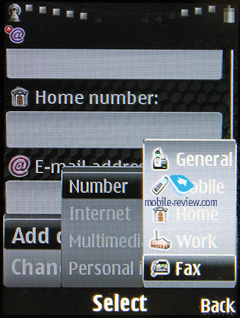 You choose the first name letters, then the middle button and choose the name from the phonebook. 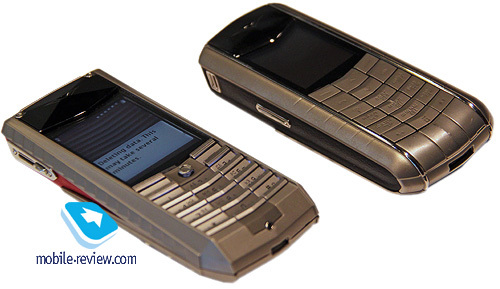 This handset features an integrated mail client, which supports APOP/POP3/SMTP/IMAP4 protocols. In this model the mail wizard was added and it helps to select all settings in a couple of steps. 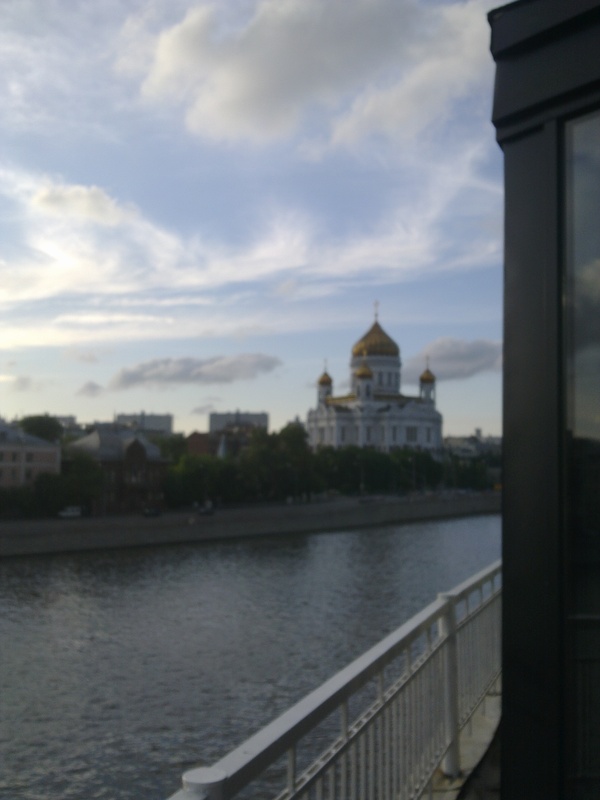 Different encoding for Russian is supported with the default variant of Windows 1251. For each message you can choose separate encoding (UTF-8, KOI8-R, and Windows-1251). 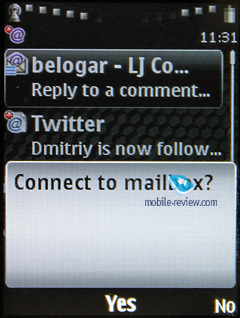 Attachments of all types are supported and from the mail client you can view all phone files. 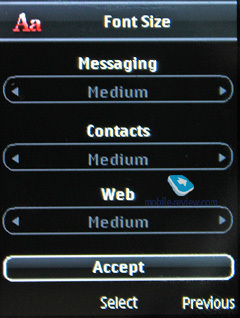 The settings for outcoming and incoming messages are separate. You can limit the number of received messages, receive only the headlines or choose to delete the messages from the server after the download. 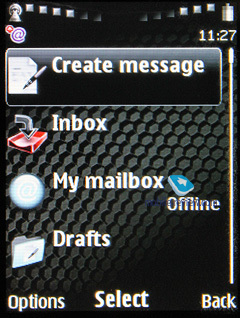 The maximum size of incoming messages stands at 600 KB, which is not enough for the majority of users. 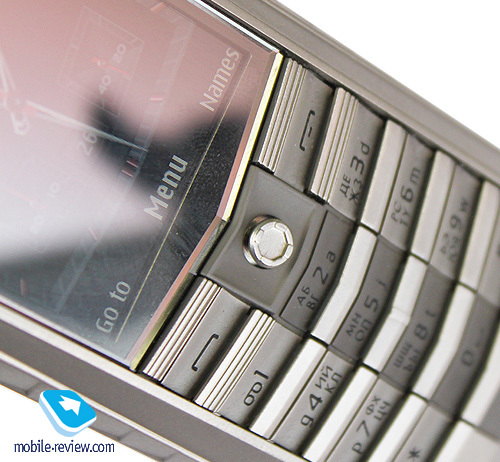 There are three lists in the phone – received calls, missed calls and dialed numbers. Each list can have up to 20 entries. 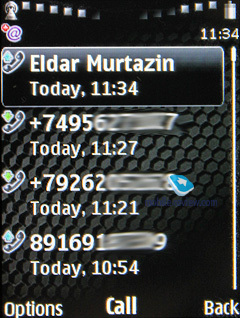 In the list you can view the date and time of each call. 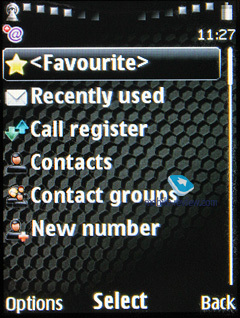 In the standby mode you can click the call button and see the general calls list. Unfortunately, you cannot go to different lists from there. 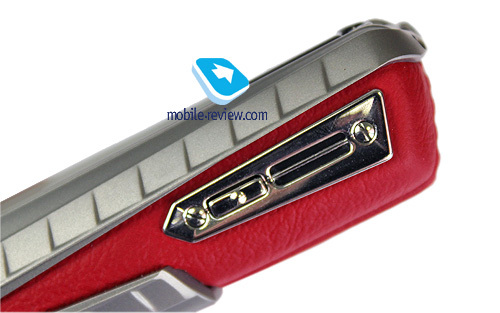 The detailed view of each call indicates its length as well. 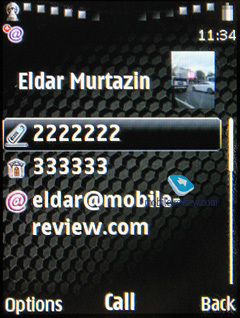 In the lists you can access the menu with all numbers you sent messages to. 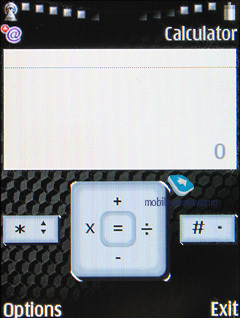 There is a calculator for different types of messages, calls and received and sent data. 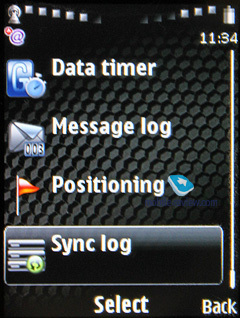 The log for position finding is also available there. It represents all locations for the definite period. Another log keeps all phone synchronizations. 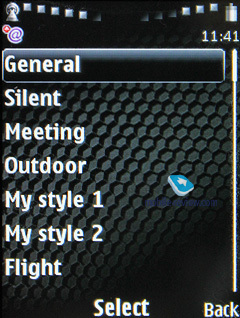 The profiles can be activated from this menu or by quick pressing the “on/off” button. Each profile can be activated for a temporary period or at the specified interval and afterwards it will switch to the default profile. 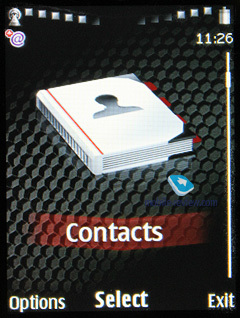 Sound signals can be customized for all events; the ringtone is set either for all calls or for separate groups. You can select the video during the incoming call or ban it for the current profile. 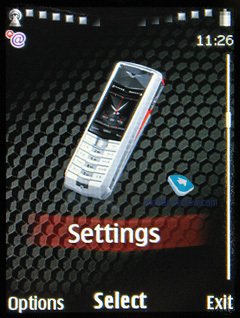 Nokia is the market leader in terms of profiles. This model has five preinstalled profiles and two user-defined ones. 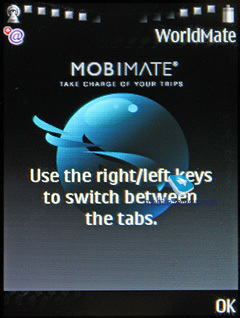 Nonetheless each profile can be customized and even its name can be changed. 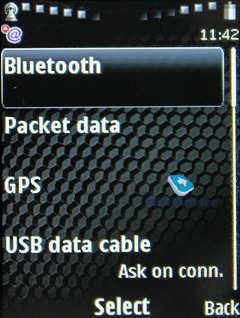 For accessories you can assign particular phone responses, for example choose the profile, which will be activated when the headset or charger is plugged in. 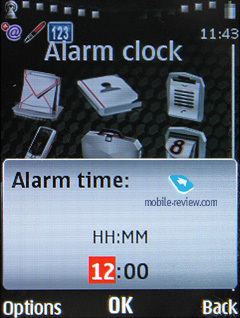 This interesting feature helps to fine-tune the phone in accordance with your preferences. 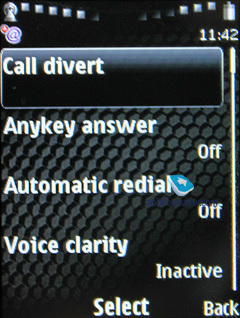 When the phone switches on it can enquire if the Flight Mode should be activated as by default it is switched off. It is not necessary, because this mode is included into the standard list. 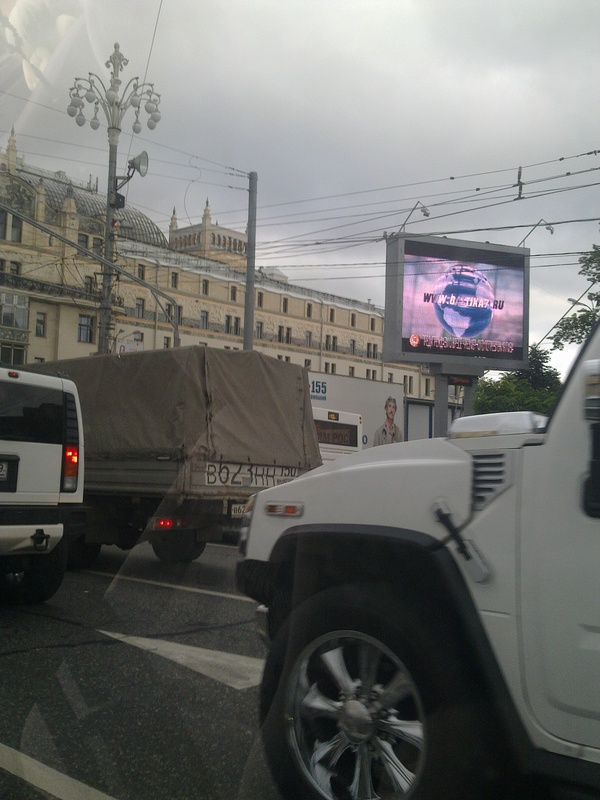 The screen may have a slide show of your own pictures and they will change at the specific intervals. Here you can find all folders with files and they have the appropriate names. 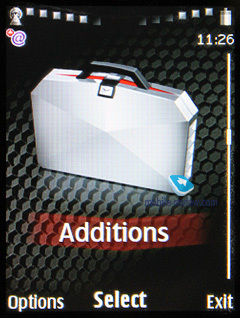 The folders can be viewed as the list, list with names or icons. 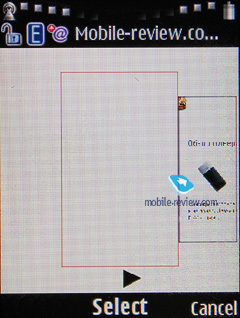 All graphic files including video can be viewed in the full sized horizontal mode. 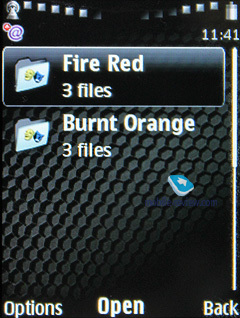 All files received via Bluetooth go to the “Received” folder and if the phone memory is not enough the files will be stored on the memory card. The size of received files is not limited. Images can be handled with the help of the simple graphic editor. You can scale or cut images, add your own text and frames, which is the minimum for pictures editing. Some users may find these features useful. 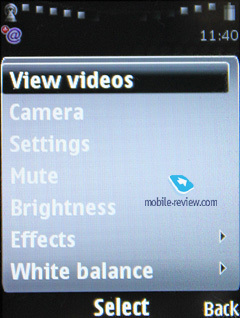 In this section you can access all multimedia settings. 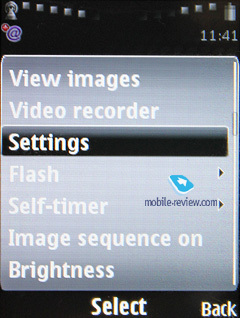 We will not discuss the camera here, because this feature depends on the particular module. You can read about it in reviews of specific models. 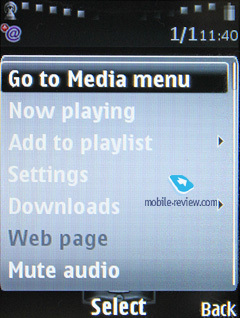 Music player almost copies its predecessor from the 5th Edition, but offers additional support for two new codecs (WMA Video 9, WMA Audio 10). The player deals not only with the music files, but also works with video. It creates one minor conflict: when you switch the player into the background mode during the video playback you simply hide the picture, while the playback continues and the sound comes from the speaker of the headphones as if nothing had happened. We cannot treat it as the developers’ mistake, it is just a feature. I cannot say how logical and convenient it is, but other models do not offer such type of background video playback. 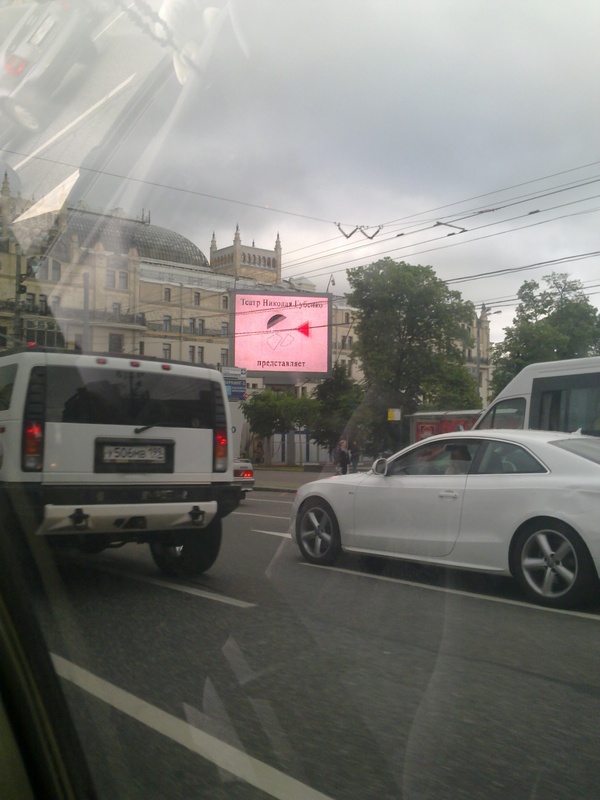 On the screen you can see the information about the track, album, performer and the album cover itself if it is in the file’s tag. 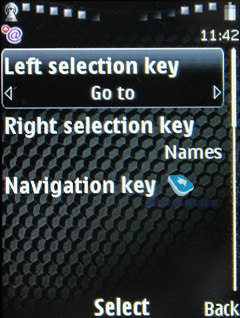 Navigation key has standard features (track jump, rewind, and stop). Fast forward option was added in this player, but at the beginning the tracks are rewound with the standard 5 sec interval. 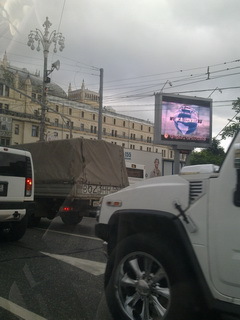 The playback may be random or consecutive. Repeat function can be applied to all tracks or to separate ones. Stereo Widening function is outside the player. 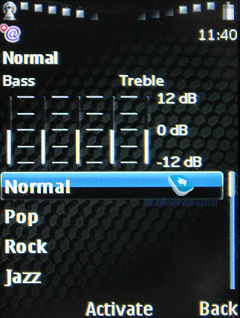 The equalizers are five band with five preinstalled (Normal, Pop, Rock, Jazz, Classical) and two customizable modes. 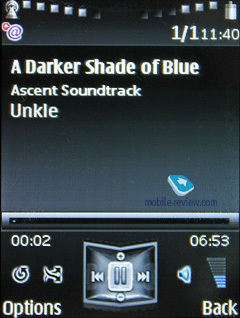 All tracks – all tracks stored in the phone. Performers – all tracks of particular performers. Albums – filters albums by the names. Genres – classifies the tracks in accordance with the genres – classical music, rock, etc. Composers – classification by composers. Playlists. This is one more set of filters. It contains favorites (you can add any track both during the playback and from the lists), the most frequently played tracks, recently played tracks, recently added tracks and my tracks. This classification is unexpected, but can be quite interesting. 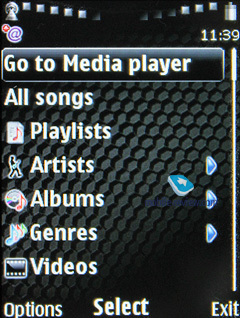 Own playlists can be created on the PC or in the phone itself. In the second case you can add separate tracks and all tracks of one performer, whole albums, etc. 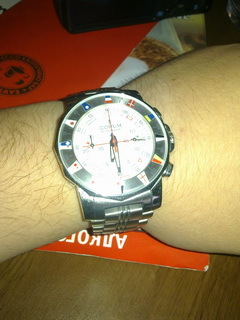 This feature is new in this Edition and is attractive. 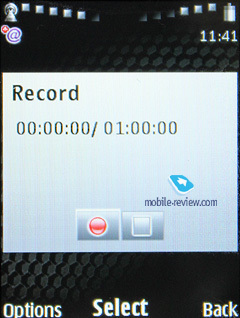 Dictaphone records files of up to 60 minutes and can work during talk time as well. 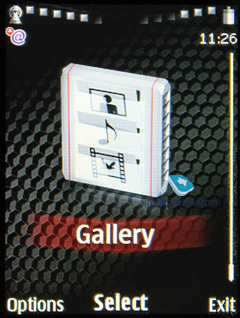 Users can choose the location to store the recordings – it can be the phone memory or the card. Recording names are concise – just the name and number of the recording. 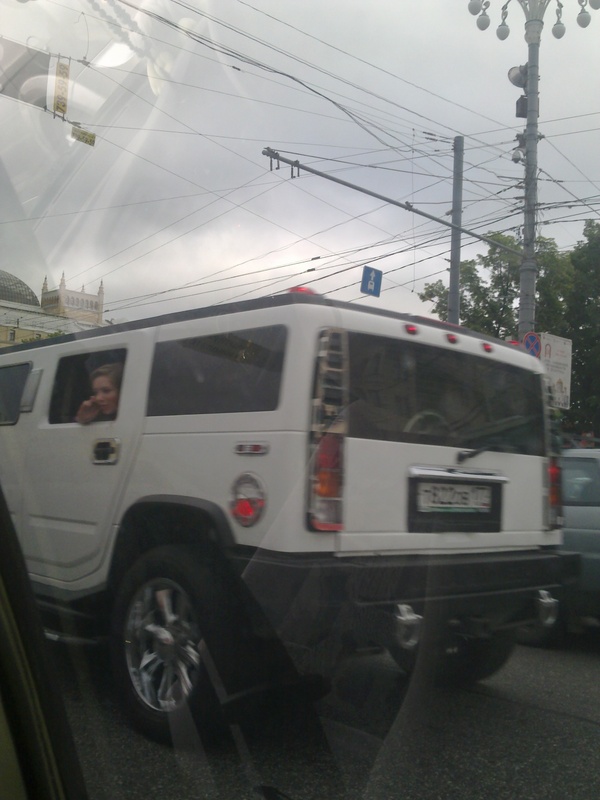 Unlike the models of other manufacturers here you cannot use the number of your interlocutor, which is not convenient. You can store up to 1500 entries depending on their length. 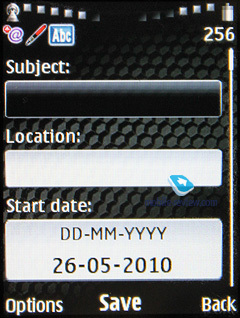 Old entries can be automatically deleted (in accordance with the date of recording). 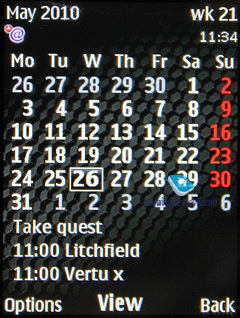 The calendar can be viewed by month and week with hourly breakdown. 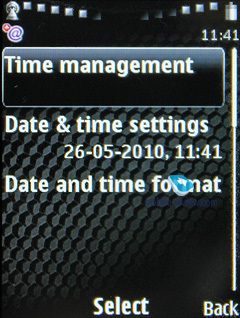 Quick access to a particular date is also supported. 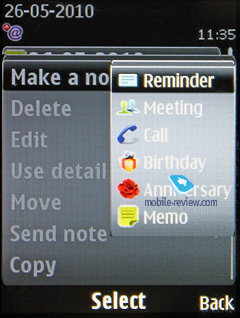 Up to 5 different types of events (meeting, call, birthday, notification and reminder) are supported. 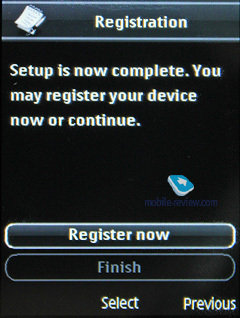 Each event can be assigned a notice and the events can be repeated. When you view the monthly calendar the highlighted date can display up to three current events in the bottom line. To-do list allows creating events with three levels of priority (high, normal and low) and you can set critical dates for every event. 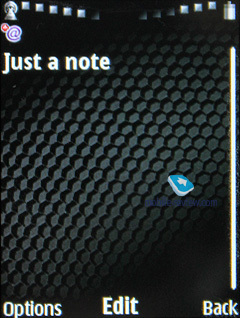 Notes: each note can contain up to 3000 symbols, which is more than enough even for the most demanding users. 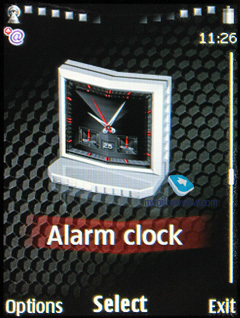 The alarm clock supports both onetime signal and the one repeated daily on a particular week day. Any melody or radio signal (if the headset is connected) can be used for alarm. 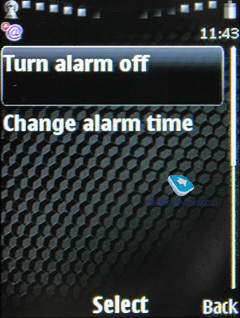 In the settings you can indicate the interval for Snooze function. 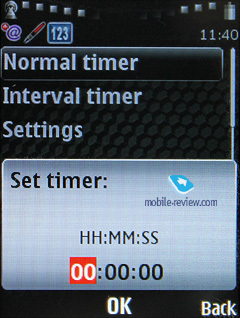 Organizer also features the countdown timer and stop watch, which provides intermediate results. Both applications can work in the background mode. 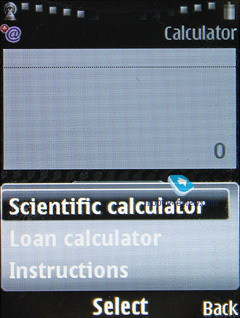 The calculator has not only the standard, but also the scientific mode and helps to calculate the interest for banking deposits or similar transactions. 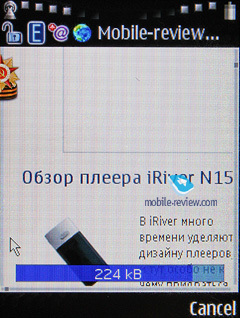 The new browser is based on the open source WebKit popular among manufacturers and used by Nokia on S60, in Apple iPhone and other projects. 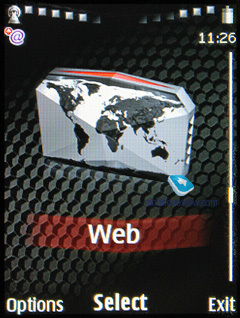 The browser supports AJAX, but due to small screens it is difficult to play the games successfully. The games do open, but you have to scroll the screen in order to play. Other services benefit from AJAX and Flash support immensely. Browser items are traditional and are the same as in the 5th Edition. The only addition is Web Upload, and the opportunity to upload your pictures on Flickr. Main changes are inside though. You can select the display of the page title and the browser can remember cookies, usernames and passwords. Page encoding can be mandatory changed, which sometimes helps to avoid the incorrect display of symbols, but this problem is quite rare these days. 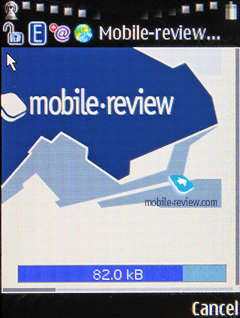 When you download a page below you see the download level bar, which also indicates the size of transmitted data. 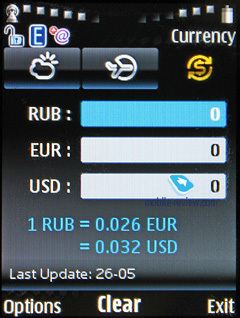 During the reload the data or images come from the cash. 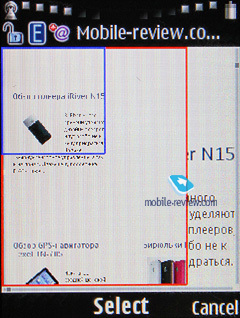 The browser shows the total size of the page here, though some data are not taken into account by the operator, but comes from the local copy. 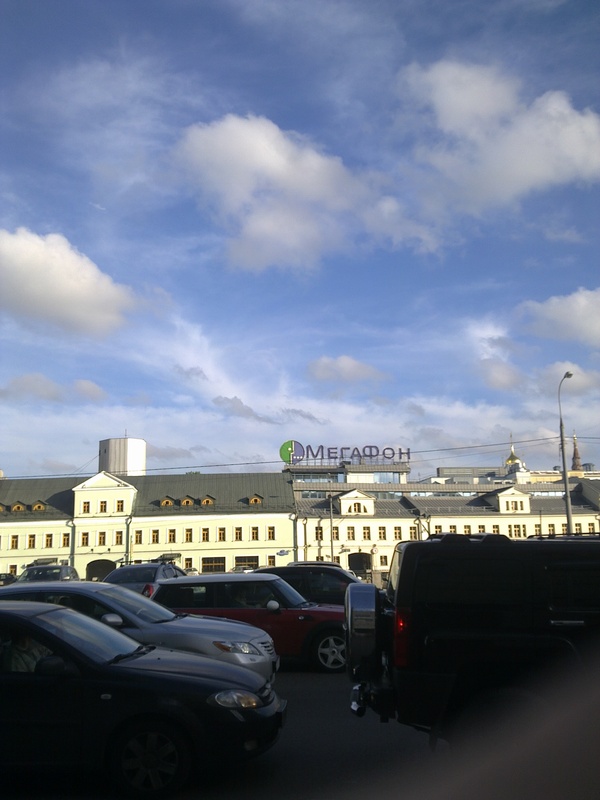 Navigation on the page is carried out by simple movement. 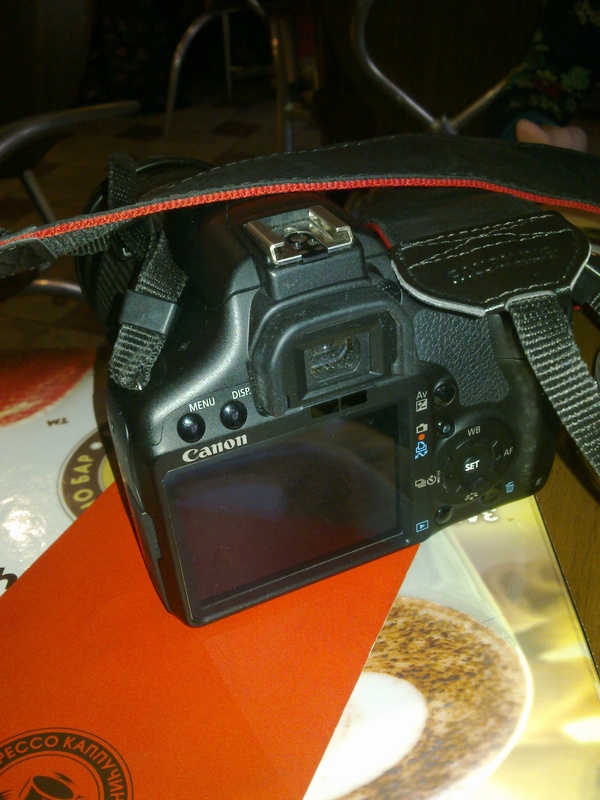 You can use the zoom, but it is not dynamic and has the set parameters – 50, 75, 100 and 125%. The time for zooming ordinary pages is 3-4 seconds, and goes up to 10 seconds for “heavy” pages of 400-600 KB. On every page you can view the phones and addresses and use them by adding to the phonebook or send via e-mail along with the page link. The option of page images does not work properly. On some pages all found images are displayed, but sometimes it does not happen. I could not find the reason or any explanation for this. 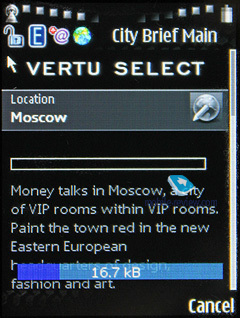 When files are downloaded the phone verifies their certificates and during the download you see not only the number of received KB, but also an estimated time of download. 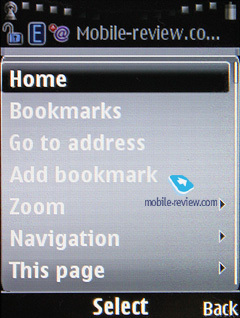 After the download the browser, unfortunately, goes into its main menu instead of returning to the page. Once again this phenomenon remained a puzzle for me. The history of visited web pages is simple, because these are simple text links. 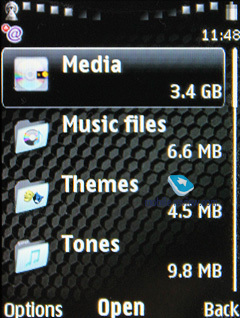 There is a separate section for the downloaded Nokia content. Nothing special! 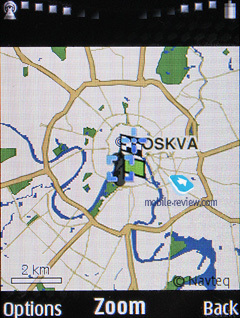 Maps on S40 become similar to those used on S60, but they are useless for devices without the integrated GPS module. You are unlikely to connect an external GPS receiver. 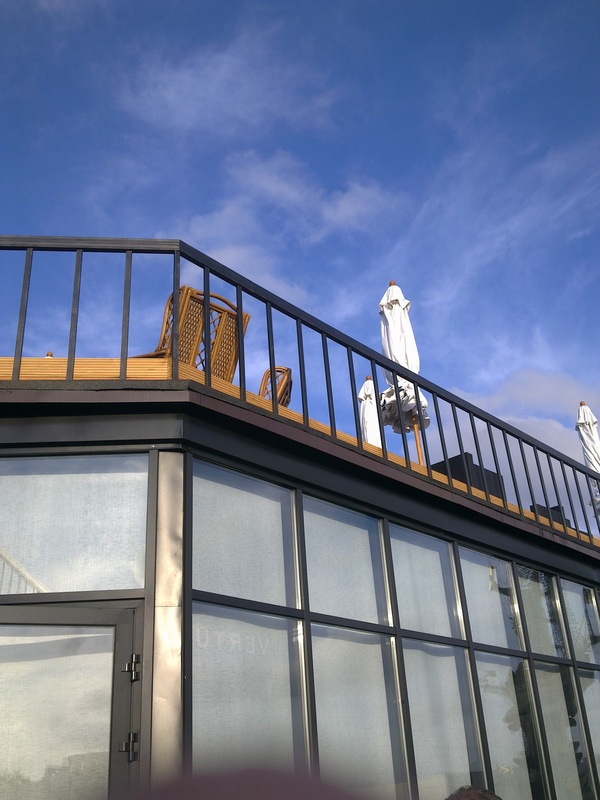 The rationale and the functions are identical to S60 platform. The only difference is that in the 6th Edition the Maps are similar to the 1st version from S60, while the 2nd version is already available. 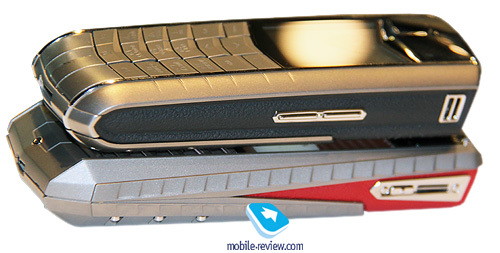 In terms of features the phone has no marked difference with the latest Nokia models on S40. 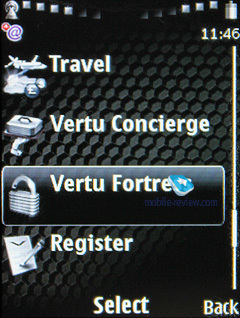 The storage is bigger and there are traditional Vertu services (Fortress, Select, city guides, and Concierge). 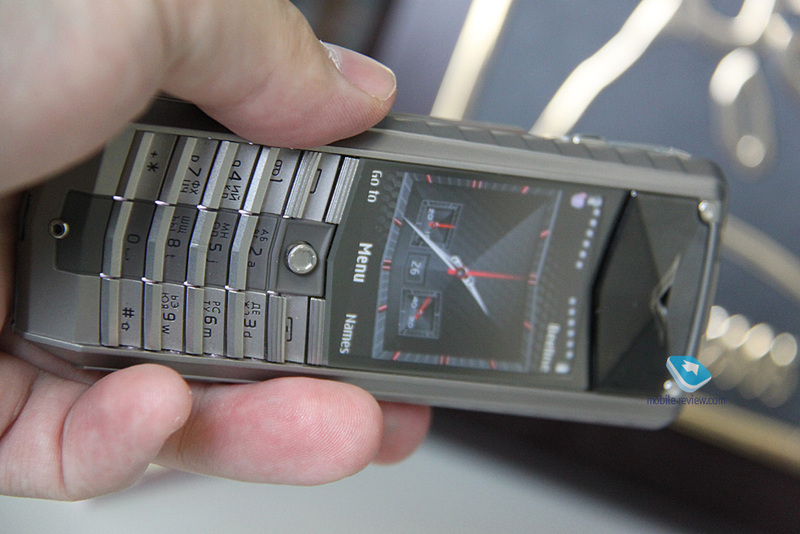 The initial price of €5700 is not low, but is quite adequate for Vertu. 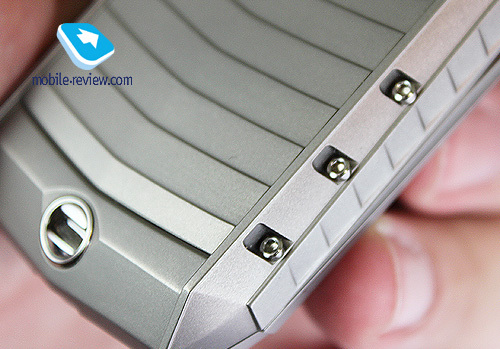 Vertu X has typical S40 inside, which brings familiar drawbacks and minor issues. The phone has 32 GB of storage, but the menu shows only 2.9 GB of free storage. When you go into the sections view the correct amount is indicated, which is the software bug. The same can be said about the incorrectly adjusted volume level. 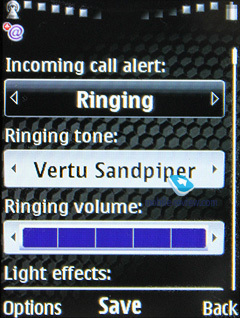 I was surprised that the standard Sandpipe melody made this Vertu sound strange. There are no problems with the sound quality, but something is wrong. I intentionally compared this model with TI and Constellation by listening to the same melodies. The difference is obvious during the direct comparison and I can say that in the new model the speakers’ settings are a bit mixed up. 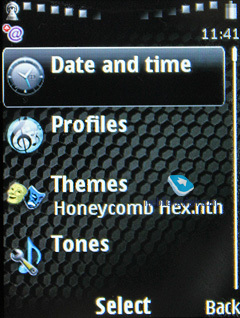 They have not been changed and MP3 tracks are played without any difference, but there is an issue with the ringtones. I hope the next software upgrade will address this problem. 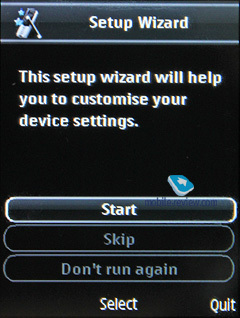 Another drawback is the impossibility to transfer contacts from S60 phones with the wizard. 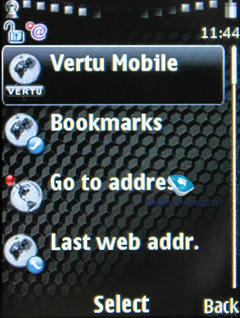 The contacts from Nokia N8 and Nokia 6700 Slide cannot be transferred to Vertu X as the phone reports an error. Big files cannot also be sent to the devices with Bluetooth 3.0. When you get to 4-5 MB an error is reported. This is probably it in terms of drawbacks. 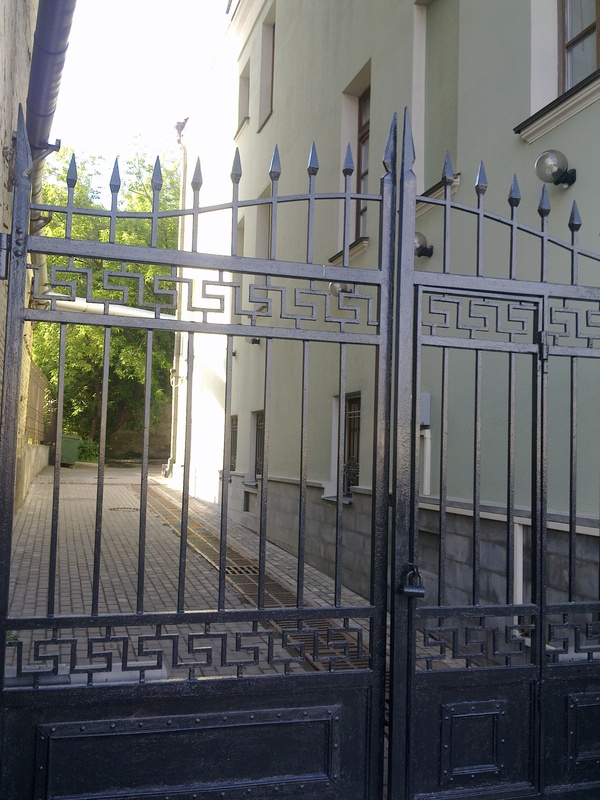 They are not numerous, but in such models you are always looking for maximum features and impeccable quality. 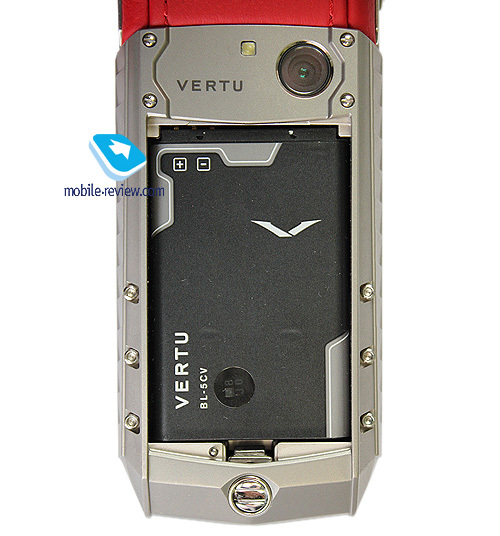 The abovementioned software defects are not important for Vertu users, because these phones are meant for calls and status display. 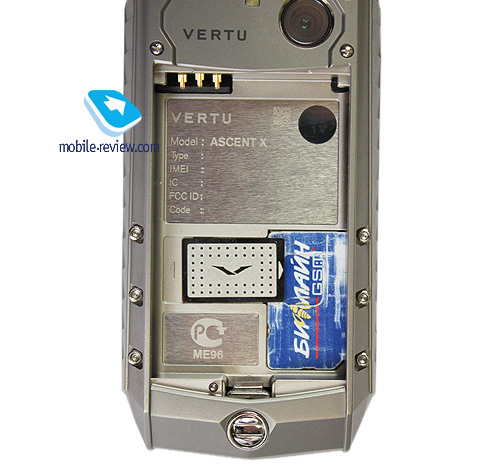 In this respect Vertu Ascent 2010 is an excellent solution, which offers luxury for acceptable price. 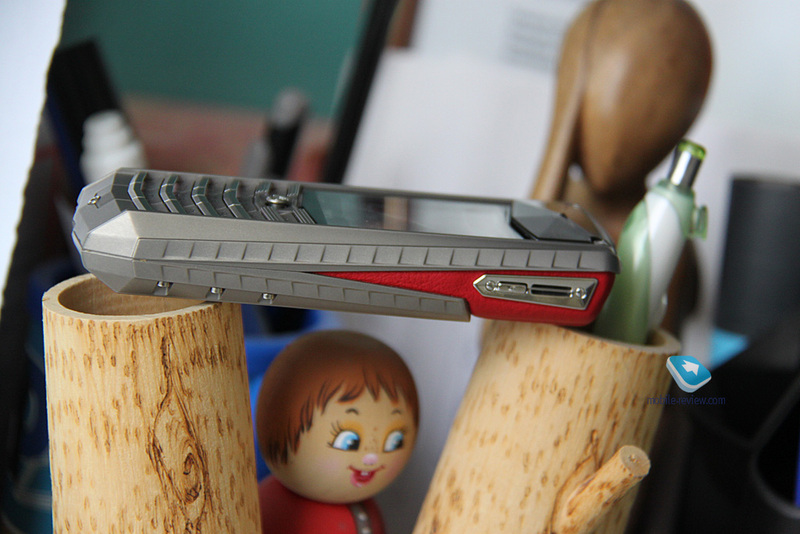 This model is graceful and is supported by Vertu history.